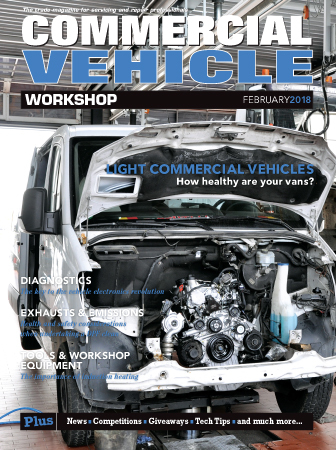 Launched in 2004, Commercial Vehicle Workshop (CVW) is styled to deliver comprehensive coverage focused exclusively on the needs and interests of professionals responsible for the service, maintenance and repair of commercial vehicles. The magazine is made up of workshop owners, managers and technicians at independent, fleet, bus and coach, local authority and emergency vehicle workshops throughout the UK. Working in such a dynamic market, they need to keep abreast of all the new products and innovations that are available. The informative and influential content of CVW sets out to meet that need in each of its 11 issues throughout the year (with a combined July/August issue). CVW provides comprehensive coverage of the key issues that affect the industry. It is the leading source of information on business, technical advances and product innovations to all those involved in the market. Each issue features dedicated technical articles, step-by-step guides, service clinics, product tests and competitions that allow the readership the opportunity to try the products for themselves. The print version of the magazine is complimented by the CVW website – www.cvwmagazine.co.uk – which provides another channel of information for readers; it incorporates up-to-minute news, exclusive content, technical guides and articles, competitions and another method of getting the readers views and opinions.